Hello, hello! My name is Stephanie and I run a blog called even*cleveland where I keep track of the things that make me tick. I'm a big fan of Design Crisis. I come here every day to see what sort of strange and gorgeous excess Karly and Erin have turned up - gold-plated piglet banks, 1970s style supergraphics, homeless unicorns, Delft-painted busts of Lenin ... not to mention the interiors. 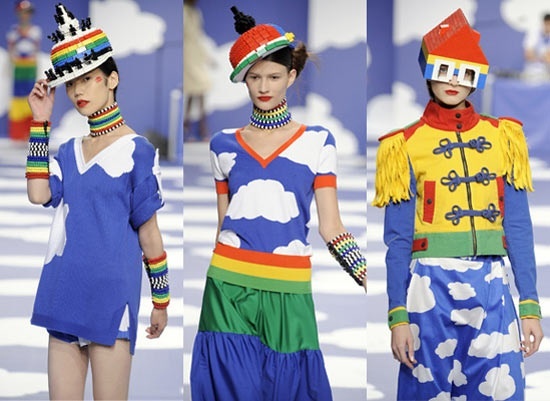 It's a boggling array, and it always amuses and delights. Needless to say, they are a tough show to follow. Trying to is enough to make me want to retreat to a safe place. 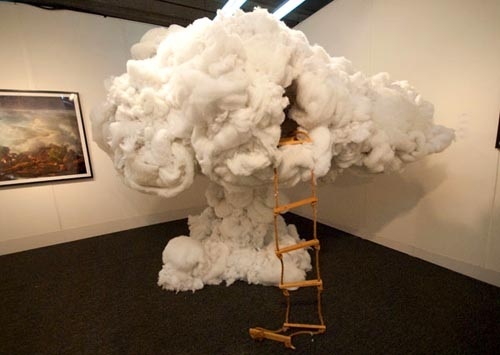 Somehow, the idea of nestling in a post-apocalyptic cloud, no matter how fluffy, is not all that reassuring. I'd probably get territorial and paranoid and start making like Mick Jagger. 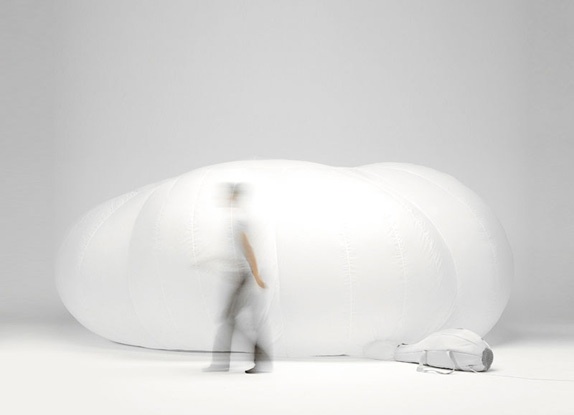 It's an inflatable room based on 'happy weather' clouds, and designed to be a portable work area although I think it could double as the coolest kid's room ever. 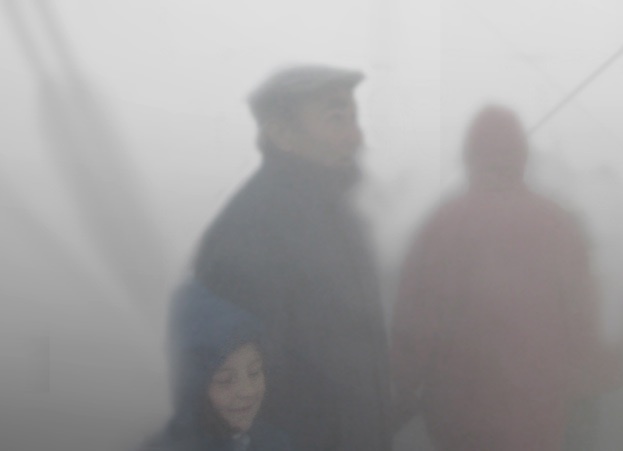 For the true nephologist, nothing compares to Diller Scofidio + Renfro's Blur installation. 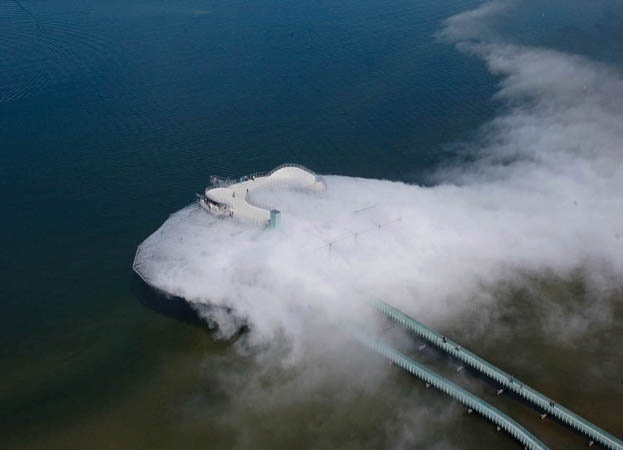 Built in 2002 as exposition pavilion for the Swiss Expo, it literally was a visitable cloud hovering on the surface of a lake created by 35,000 nozzles blowing out high pressure mist. It was designed to function as 'a habitable medium that is formless, featureless, depthless, scaleless, massless, and dimensionless', surrounding visitors in an optical and auditory 'white-out'. I wish I could have seen it in person. Pure magic. There's a reason they were the first architects to win a MacArthur Prize. I don't know where these people live, but I hope to visit their land. Thanks to Erin and Karly for letting me visit theirs!